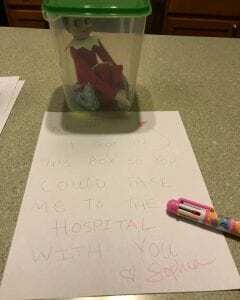 When your elf can’t be touched, but you want her to come to the Infusion Clinic with you, your elf gets creative! When it comes to treating kids, some magic and imagination can go a long way! 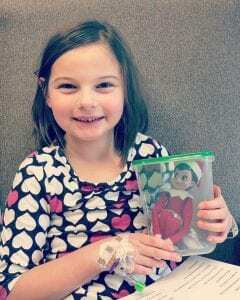 Give today to help kids like Megan (and Sophia the elf) get the best care possible this holiday season.